Why is addressing gum disease important? Over 90% of adults have some form of active gum disease by the age of 30. A whopping 65% of children already show signs of active gum disease by the time they are 15 years old! Given these sad statistics, we consider gum disease to be the elephant in the living room when it comes to oral health. After all, if what we as a culture were doing was working, doesn’t it seem to you that these sad statistics would be much lower? But you’re here looking for solutions. That tells us a lot about you. You’re not satisfied with being a sad statistic. Unlike so many, you’re spending your own time to research other options for you and your family. Our dream is to help the world have more smiles in it. What starts as a little tenderness and swelling between molars turns to gums bleeding when flossing and chronic bad breath. This then leads to receding gums and loose teeth, and eventually, even adult tooth loss. Unfortunately, gum disease isn’t just about chronic bad breath and bleeding gums. Besides being the #1 cause of adult tooth loss, there is also a clear link between active gum disease and chronic health issues. Whether we are talking about arthritis, heart disease, diabetes, or even cancer, research has found that an imbalanced oral flora and increased populations of ‘thug bugs’ in our mouths contribute to suppressing immunity, the breakdown of our systems, and ultimately disease. And it makes sense! If you think about it, gum disease is a rampant bacterial infection with direct access to the whole body via the bloodstream! We must do more than brush our teeth to create optimal health. Through specific oral hygiene habits, we can actually lower the incidence of thug bugs in our mouths and the risk of allowing a chronic inflammatory cascade from undermining our health of the body. Thankfully, we can look back in history to find evidence unvarnished by greed or political agendas to learn how we can address gum disease. We are proud to stand on the shoulders of giants like Weston A Price, Ralph Steinman, and Edward and May Mellanby. But today, we’d like to highlight Dr. Charles C. Bass, one of the first to shed light on the subject of gum disease. Dr. Bass was a remarkable man. He was the youngest person to become a dean of a medical school, and the first person to carry a microscope west of the Mississippi River. 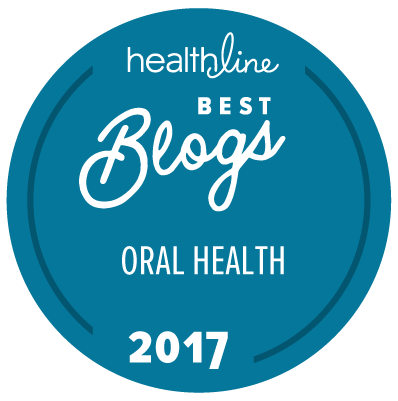 Most remarkably, when Dr. Bass was diagnosed with advanced gum disease and instructed by his dentist to have all of his teeth extracted, he decided to take things into his own hands and do some research (just like you, you hero!). (Being a parasitologist, Dr. Bass had already discovered parasites through the use of his microscope.) Dr. Bass put his skills toward figuring out what was causing the destruction in his mouth. Using his microscope, he easily identified the same ‘”thug bugs” that plague most mouths today. He then set out to figure out a technique that would help to disrupt and remove the thug bugs from his mouth. Through extensive trial and error, Dr. Bass created a toothbrush and method that effectively disrupts and removes bacteria from the teeth and gums. As an example of history, Dr. Bass died an old man with all his natural teeth intact. The Bass brushing technique works because the focus is on disrupting and removing the bacteria that accumulate along and under the gum line as well as between the teeth. Created by extensive trial and error, the Bass brushing technique is very effective at reducing gum disease when used correctly. To be able to use the technique effectively, we must understand that the “thug bugs” related to gum disease organize along and under the gum line, especially between the molars. Therefore our focus must be to gently wiggle the bristles down into these areas to break up the bacteria’s colonization efforts. Unfortunately, signs of early gum disease are swollen, red, tender gums. Without the conscious awareness that these are signs of gum disease, most people avoid brushing the infected area due to discomfort around the swollen gums. This allows the infection to continue unhindered. What we have from Dr. Bass’ life are the Bass toothbrush and the Bass brushing technique. 1. The bristles of a Bass toothbrush are more spaced out, and there are fewer bristles on the brush head. What Dr. Bass found was that most toothbrushes had far too many bristles to wiggle effectively between the teeth and down into the gum line. So, he created a brush with fewer bristles that allows the brush to get down where the thug bugs thrive and disrupt their colonizing efforts. The same is true today as most conventional toothbrushes have too many bristles to use the Bass brushing technique effectively. 2. The second way the Bass toothbrush differs from other toothbrushes is that the bristle tips of the Bass brush are rounded, polished and very smooth. See the photos below to compare the rounded bristle tips of the Bass toothbrush and the jagged, rough-cut tips of many other toothbrushes. 1. Hold the toothbrush gently! We like to joke that we’re not cleaning a grout line here! Rather than hold the toothbrush like a scrub brush, press it gently so your arm can relax and apply the small movements required for the Bass brushing technique. 2. Hold the brush at the commonly recognized 45-degree angle to the tooth and gum line. 3. Think small. The main difference in the Bass technique is how small the movements are. The Bass brushing technique uses subtle lateral strokes along the gum line. It’s almost like you aren’t “brushing” your teeth at all! Rather, place the toothbrush at a spot along the gum line and gently wiggle it with slight, subtle back-and-forth motions that get the bristles down between the teeth and under the gum line. 4. Count to five, then move to the next place with your brush and repeat. The small motion takes practice, but in time, you will be amazed at how much healthier your gums feel! Your Teeth Will Thank You Too! Research has shown that many folks brush their teeth too hard and ultimately damage their enamel. Many toothbrushes have rough cut bristles (rather than the rounded-tip bristles on the Bass brushes) that can scratch enamel and irritate gum tissue. A contributing cause of receding gums is brushing the sensitive gum tissue too hard, with a toothbrush with rough cut bristles! Putting these factors together creates a situation where many people may be doing more harm than good when brushing! So, rather than dragging your toothbrush over the surface of the teeth, try out the Bass technique and see how it feels! Watch the instructional video showing the Bass brushing technique below to get a clearer picture of how to brush your teeth to reduce the risk of gum disease. Check out our newest video on Bass Brushing 2.0 here! Now you know how to brush your teeth to reduce gum disease! If you’d like to also learn how to support your teeth, stop tooth decay, and reverse cavities, feel free to download our FREE resource guide, “How to Remineralize Your Teeth”. Finally, have you tried the Bass brushing technique? Do you have questions or feedback about the method? As always, we love to keep the discussion going in the comments below! Wondering if you were thinking of making a special brush head for this bass technique for electric toothbrushes, or design your own. It would be especially nice to have a battery operated bass brush for children. This is the perfect blog..i admire the valuable advice you make available in this blog..
Will this bass brushing technique not push the gum to recede overtime? I think the main factor whether Bass brushing, or any other brushing technique for that matter, could cause more harm than good is this… How much awareness/consciousness does one apply while brushing? If we brush unconsciously, then yes, you could cause damage in the form of gum recession over time. However, given the very small motion of the Bass technique, I find that there is less risk in causing damage than the regular ‘scrubbing a grout line’ style of brushing that most people practice every day. You are correct in your thinking however as the #2 cause of receding gums is brushing too rough (with a cheap brush). So glad to hear it Glenda! Thank you for sharing! It is very informative and tells us about the various stages of disease. Could you get the same result using an electric round brush? From our experience, electric brushes simply don’t have the same level of control to really get the gum line as clean as using a Bass toothbrush with the proper technique. That said, if used consciously, electric brushes can be of great benefit still. I have had Periodontal problems for 50 years. The time I used an electric toothbrush (Sonic Care) were the worst for my problem. I will never use one again. My Dentist has pressured me at every appointment, for the last couple of years, to use one again. The Sonic Care apparently works for him, but has proven not for me. I am in the process of looking for another Dentist. I’m not much for staying with a physician who cannot respect my wishes without persisting in nagging or any other form of coercion. About how long does the bass toothbrush last or how often should it be replaced? Great question! Thanks for asking it. How long a Bass toothbrush lasts really depends on how well the user takes care of it. I know that sounds kind of silly since we’re talking about a toothbrush. But it’s true. We find that we change out our own toothbrushes every 4-5 months. But it could be shorter if the person is a ‘brush chewer’. So long as the brush head maintains its shape to function properly, we see no reason why a person should change out their Bass brush. If you want to make sure that the brush stays clean, we suggest that you set your brush in a sunny window sill for a day to let the sunshine naturally sterilize the bristle tufts. Doing this ‘toothbrush sunbathing’ strategy once a week will insure that no bad bugs are hanging around on your brush. We hope this helps Robby! Many years ago I bought some of these brushes from, it may have been the Price-Pottenger Foundation, but I really can’t say. The brushes came with a little cap for the brush head that, they said helped to keep the shape of the bristles in their original shape. They also said, I’m pretty darn sure of this (but MAYBE I’m wrong), that these brushes could last up to 3 years, in part because of the little cap! Mine didn’t last for 3 years, but it’s also possible that I was a bit too rough while brushing. I have notices that my gum line is receding and have been told that I brush too hard. Will this technique bring them back? While we can’t guarantee that your gum line will return, the way we think of this subject is the first step is to stop the damage from continuing. The Bass brushing technique with the correct brush will assist in this first step very much. Thank you for sharing this valuable information. I just ordered tooth brushes for my family and am excited to get started. I have a 1 year old and don’t know if I should start using this technique with her. How young would you guys start brushing a child’s teeth? Thank you! I watched the brushing video after I read the blog and am wondering, you only showed yourself brushing the front of the gums/teeth, so my question is, do you brush the the back/inside of the gums/teeth also? I would assume so, just wanting to make sure though. how you address problem/smell under the bridges/crowns? I have very bad receding gums in the lower anterior part of my mouth (6 teeth). I am having a difficult time keeping them clean. The dentists all tell me to use a soft or ultra-soft bristle toothbrush. They gave me the brush with the real pointy bristles that are all spread out in different directions. I really want to use the bass toothbrush but it’s a medium bristle brush. Do you think the bass brush is ok in my case? Also, I have tried to do the bass technique but I am not real confident in my ability to clean the area when I use it. I watch the video and read the instructions but I’m still not sure I’m doing it correctly. Any suggestions? The Orawellness approach seems to be going in the right direction, and I’m looking forward to seeing the results myself. One additional factor that seems to play a huge difference in gum health is Vitamin C intake. When I have occasionally neglected to take Vitamin C supplements, I see and feel it almost immediately in my gums – which start becoming more tender. Find out why so many people are thrilled with our not-fancy-but-effective Bass toothbrushes. Once I started using a Bass Toothbrush, I realized would never be able to go back to a conventional toothbrush. It made me realize how much damage I was doing when trying to keep my mouth healthy. The conventional toothbrush has been so devastating to my gums and OraWellness taught me how aggressive I’ve been to my mouth! My dentist even commented that he wished he had my gums! I am a Nutritional Therapist and I recommend your website, Bass Toothbrush and Healthy Mouth Blend all the time. And now I’m elated to report shiny, white, plaque-free teeth using your natural HealThy Mouth Blend and simple Bass brush! I appreciate your quality products and your company, particularly how you focus on educating about optimum oral care.